This post is one in a series of student responses to the question, “What has VEP meant to you?” These poignant illustrations of students’ journeys convey the scope of their challenges. Each student, at every level, struggles to achieve the next step in English proficiency, and depends on the life-line a volunteer tutor has thrown them. We are immensely proud of and inspired by these individuals. 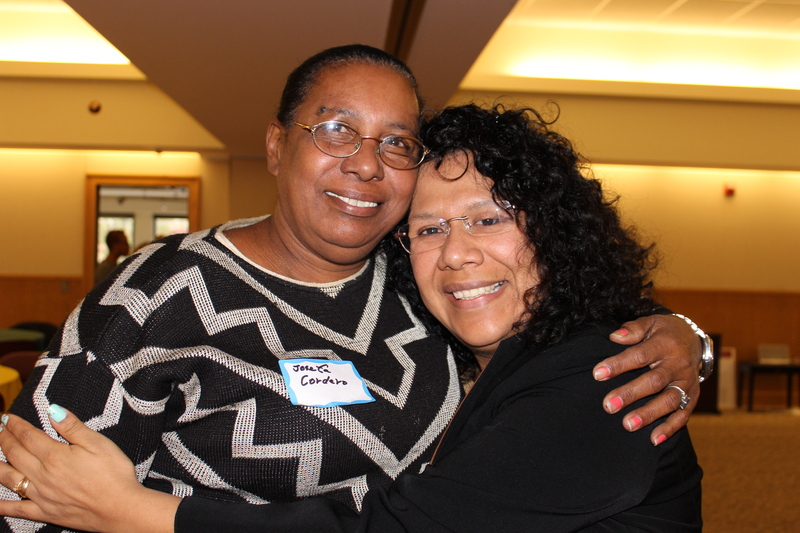 Noemi (right) with her friend and fellow student Josefa. Through this excellent program I have been learning English for at least 6 years. It was important for me for to learn English and be able to communicate with doctors & other people. Now, I’m able to answer the people who ask me something. I decided to learn English because when I watched the TV it sound to me like they were talking in another language even though I knew English. On that time, I was feeling lost and disappointed. To learn English is not like reading a book. It is so far from the reality. This is just the beginning. Finally when you say to yourself “I can speak and listen English”, Guess what? You need to learn to use idioms. Thanks for the help and support that my tutor June Bigler has been giving me. She has been guiding me to learn and understand about the American Culture and customs. June is not only my tutor she is my adoptive family. She is always willing to help me in any way possible. Now I’m bilingual and bicultural, I’m also a medical interpreter. I feel more a part of the community. I don’t have to watch just the Spanish channel, I can watch whatever channel that I want. I have a job at Human Services, Inc in West Chester. Here, I’m helping the Latino community. I advocate for them, for example, I make calls in behalf of my client. I stand up for my rights and the Latino community also. This year I helped 20 children to enroll in the After School Program at the YMCA to do their homework. Now, these children are away of drugs and the street, and they are exercising too. This program has been a blessing for me, my family and my community. I’m so thankful for all the donors who have giving me the change (chance) to feel part of the community and give back my appreciation. Editor’s note: Sometimes the VEP office phone rings, and Noemi’s cheerful voice is on the other end of the line. She calls in her capacity as community advocate, trying to help a client by securing English tutoring. 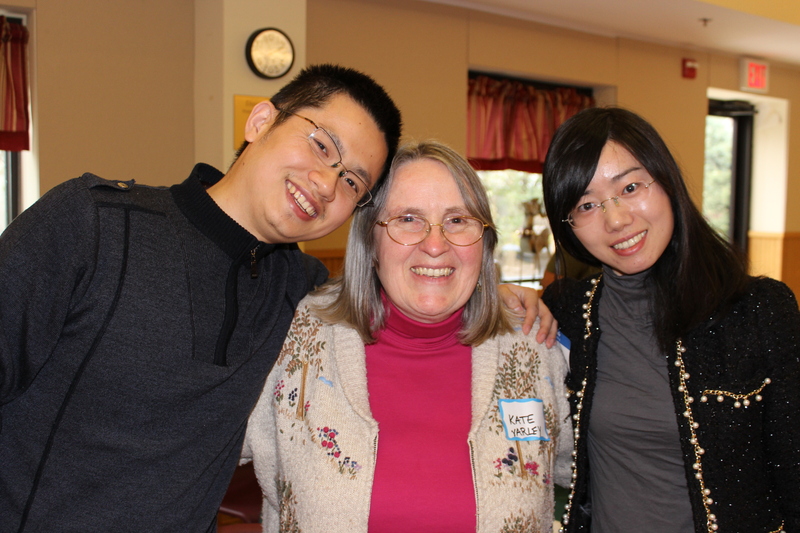 She has become an ambassador for the Volunteer English Program. Last year, my husband got a job in West Chester, PA. It was a tough choice for me to quit my dream job in China and leave China for the U.S. with him. But it was such a good opportunity for my husband that we could not resist it. I was also quite confident in my English ability since I had been learning English since Junior Middle school. On my first week staying in the U.S, however, I realized that I had definitely underestimated the challenge I had to face as an immigrant. Take my experience of applying for the customer card in ShopRite as an example. I thought it was a piece of cake to talk with the receptionist since there would be no complicated phrases in this circumstance. But the conversation didn’t go as smoothly as I expected. When the receptionist asked me “what’s your address[uh-DRES]?”, I could not understand because I only learned the pronunciation [A-dres] in China but not [uh-DRES], with an accent on the second syllable. The receptionist also could not catch my words because I spoke “Chinese English” instead of American English. I was so frustrated. I was a faculty member in a university in China but nothing in the U.S. If I was not able to do the easiest thing, then how could I fulfill my career expectation in America? My situation was akin to swimming in a river which seems shallow but is actually deep. I thought I could swim across it; but when I swam near the center, I realized it was far beyond my ability and I was drowning. At the urgent moment, it was VEP who threw me a rescue ring —- my volunteer English tutor Kate Varley —- and saved me. She works with me to set up goals and fulfill my plan step by step. At first, we used the ESL textbook given by VEP to grow vocabulary, reduce my Chinese accent and correct my pronunciation. Kate is so knowledgeable that she told me much about the American history, customs and culture related to the topic of every unit. She also created opportunities for me to speak English, like inviting me to dinner, meeting her friends and family as well as joining some social activities, through which I not only built confidence in speaking but also came to know more about the everyday life in America. Since my English got better, she encouraged me to move on. With her help, I started to volunteer with the American Red Cross blood drives so as to meet more people and improve my English ability. Besides, Kate helped me apply for the NCLEX test, prepare for GRE test and TOEFL test. She enabled me to get closer to my dream. We’ve been working together for almost 1 year now. You can envision, few people would spend so much time to help a foreigner. Kate has done it! Kate and VEP opened the door to real American life for me and gave the hope to have a good life here. I know the road ahead is not so easy. But I’m not afraid of any challenge now because Kate and VEP will always be there to support me. You’ve made such a big difference in my life that I could not find a word to express my appreciation. I hope one day I could join you in such a meaningful job when my English is good enough! Thanks again! Editor’s note: Jessica has become so accomplished in her English skills, that she now appears with her tutor Kate on the VEP speaker’s bureau, which visits and speaks to local businesses and organizations about the VEP mission. 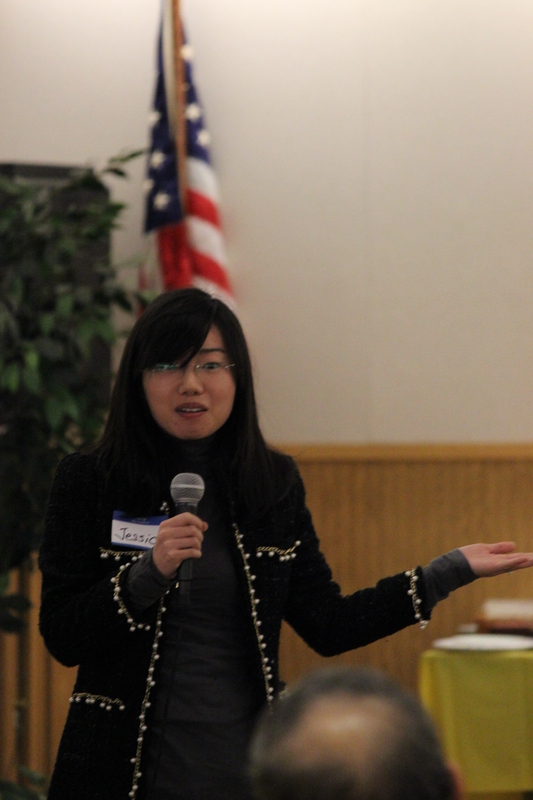 She recently spoke on our behalf at a grantor site visit. She now has the ability and confidence to interview for graduate programs in nursing science at the University of Pennsylvania, Yale and Duke! We are so proud of her and all of the hard-working VEP students.